Our partnership with LiveWire Sport continued as we were asked to create illustrated assets for Inter Milans Hall of Fame. The club had taken the decision to create a Hall of Fame, with fans given the chance to vote for their favourite players in each position. When the 3 finalists for each position were confirmed, we illustrated each player in a hand sketched style that evoked a modern, yet historical feel to the work. Each player was illustrated and produced in various sizes for use on all social media platforms. A3 posters were also created for the club to use at their induction event. He is regarded by pundits as one of the greatest goalkeepers of his generation, and one of Italy's best keepers ever. Throughout his career, he played for Sampdoria, Inter, Bologna, and Ascoli in Italy, winning several domestic and international trophies. At international level, he represented Italy at three FIFA World Cups (1990, 1994, and 1998), most notably reaching the 1994 World Cup final as Italy's starting goalkeeper. In a professional career which spanned two full decades, he mainly represented Fiorentina and Internazionale (eight and nine seasons respectively), winning a total of 15 titles combined; in his last five years, however, he was solely a backup for the Nerazzurri. He was a long-time goalkeeper for Internazionale and the Italian national team. He also holds Romanian citizenship. During his playing career, Zenga was part of the Italian squad that finished fourth at the 1984 Olympics in Los Angeles, United States and was starting goalkeeper for the Azzurri team that finished third in the 1990 FIFA World Cup tournament held in Italy, keeping a World Cup record unbeaten streak. 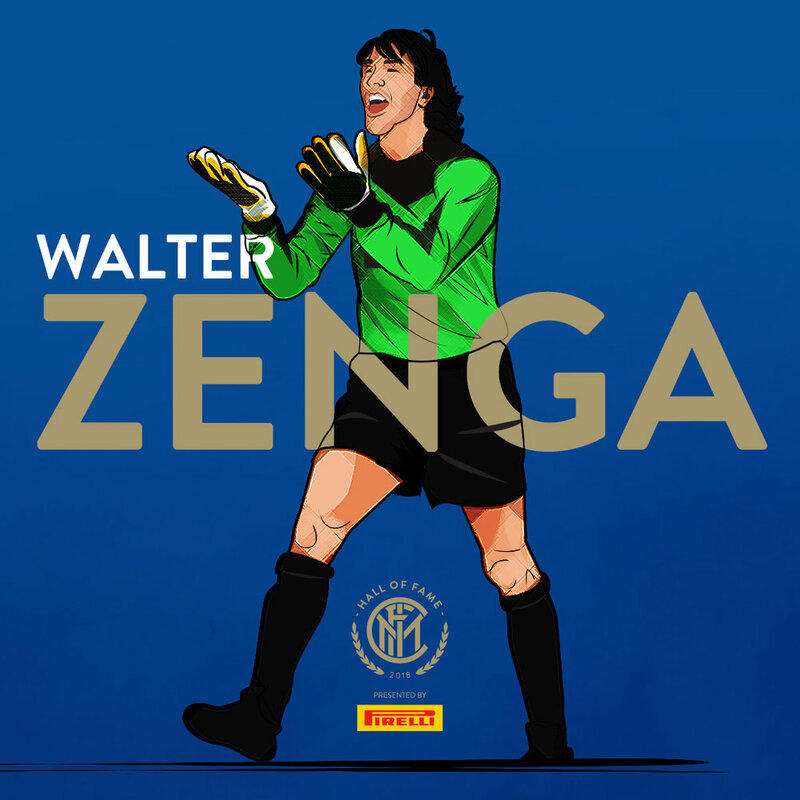 A three-time winner of the IFFHS World's Best Goalkeeper Award, Zenga is regarded by pundits as one of the best goalkeepers of all time, and in 2013 was voted the eighth best goalkeeper of the past quarter-century by IFFHS. 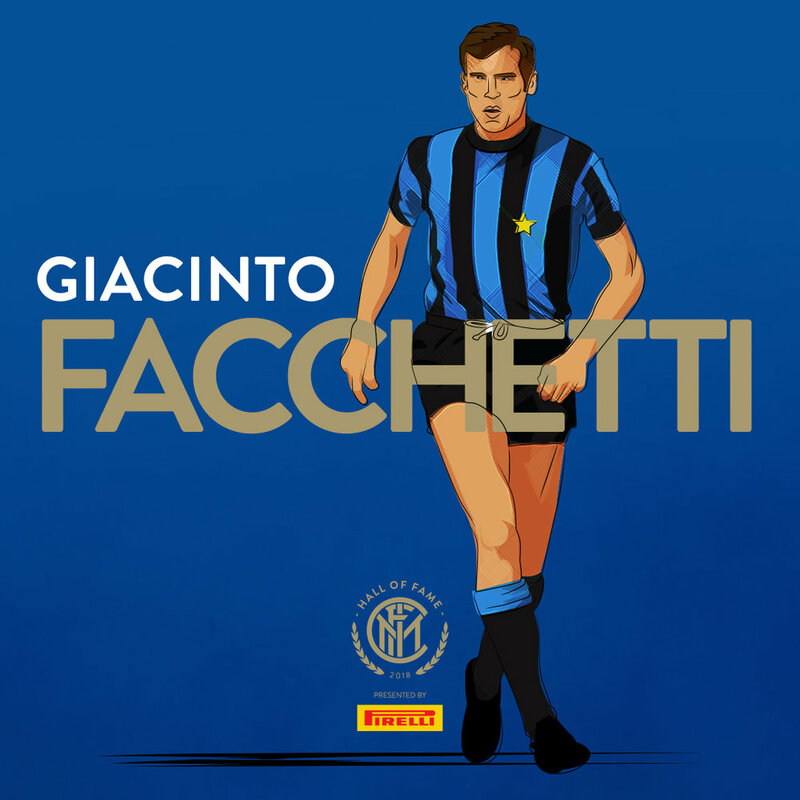 Giacinto Facchetti (Italian pronunciation: [dʒaˈtʃinto fakˈketti]; 18 July 1942 – 4 September 2006) was an Italian footballer who played as a defender. From January 2004 until his death, he was chairman of Internazionale, the Italian club for which he played for his entire club career during the 1960s and 1970s. He played 634 official games for the club, scoring 75 goals, and was a member of the Inter team which is often referred to as “Grande Inter”, under manager Helenio Herrera, with which he won four Serie A titles, a Coppa Italia, two European Cups, and two Intercontinental Cups. Matthäus and Bayern teammate Andreas Brehme signed with Internazionale of Serie A in 1988, winning the Scudetto in 1988–89 during their first season, and the Italian Supercup that year as well. 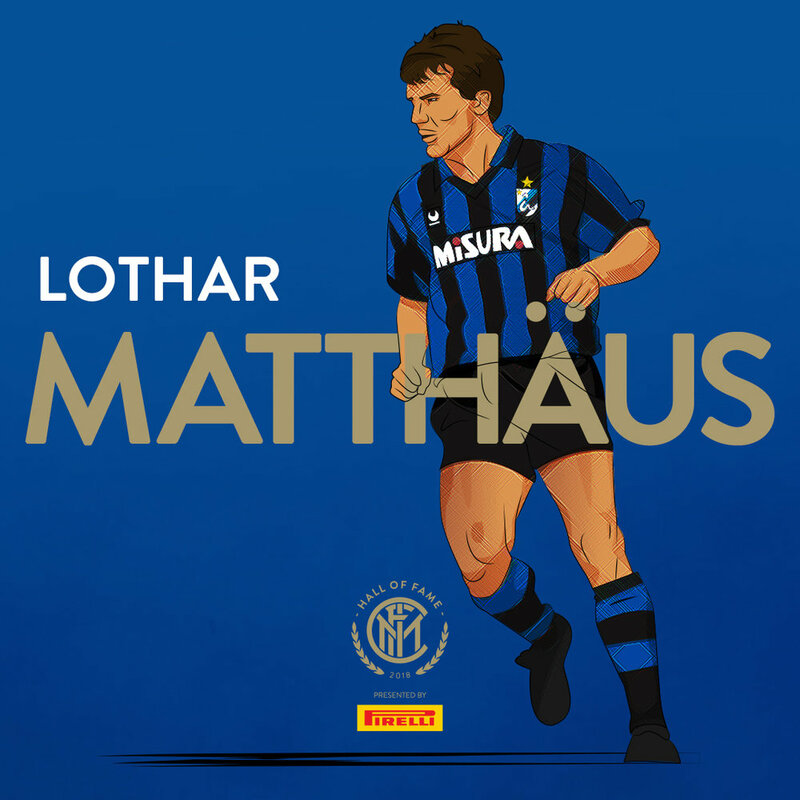 Matthäus continued to enjoy further success with Inter, winning the UEFA Cup in 1991 and being named FIFA World Player of the Year. In the final, he scored a penalty in the first leg to help them to their victory over Roma. Returning to Bayern Munich in 1992, he won four Bundesliga titles, two DFB-Pokals, another UEFA Cup and reached a second European Cup final in 1999. Throughout his career, he played mainly for Internazionale in the 1930s, scoring 242 goals in 365 games for the club, and winning three Serie A titles, as well as the Coppa Italia; he later also played for local rivals Milan, as well as Turin rivals Juventus. At international level, he led Italy to win two consecutive World Cups: in 1934 on home soil, and in 1938 as captain; he was named to the All-star Team and won the Golden Ball Award at the 1934 World Cup, as the tournament's best player. Along with Giovanni Ferrari and Eraldo Monzeglio, he is one of only three Italian players to have won two World Cups. Following his retirement, he served as a coach for the Italy national team, and with several Italian clubs, including his former club sides Inter and Atalanta, as well as Pro Patria, and Turkish club Beşiktaş; he was Italy's head coach at the 1952 Summer Olympics. 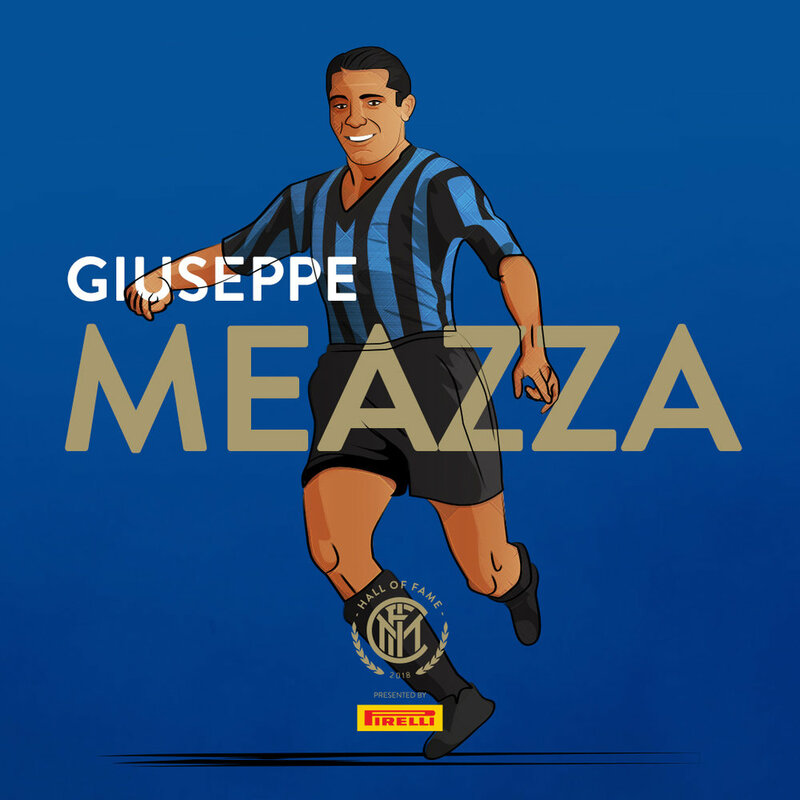 Meazza is widely considered one of the best players of his generation, and among the greatest of all time, as well as being regarded by many in the sport as Italy's greatest ever player. Due to his technical skill, prolific goalscoring, and creative ability, he was often given the nickname "il genio" (the genius) by the Italian press during his career. He started his career in Argentina, first with Talleres, and then Banfield. From 1995 to 2014 he played for Italian club Internazionale, and served as captain from 2001. With 1,114 official games played, he is fifth player in history with the most career appearances. He is also the foreign player with the most appearances in Serie A (615), and holds the fourth-most appearances in the league, behind only Paolo Maldini, Gianluigi Buffon and Francesco Totti. He is the most capped player in the history of Inter (858), and won 16 trophies with the club: five Scudetti, four Coppa Italia, four Supercoppa Italiana, one UEFA Cup, one Champions League and the FIFA Club World Cup. He is also the most capped player as captain in the Champions League. In early February 2004, Stanković played his debut for Inter under head coach Alberto Zaccheroni, a Serie A clash at home against Siena that ended 4–0. On 21 February 2004, he scored a spectacular goal directly from a corner kick to put Inter 1–0 up in Derby della Madonnina versus fierce rivals Milan. Inter finished the league season in fourth place thus qualifying for Champions League. 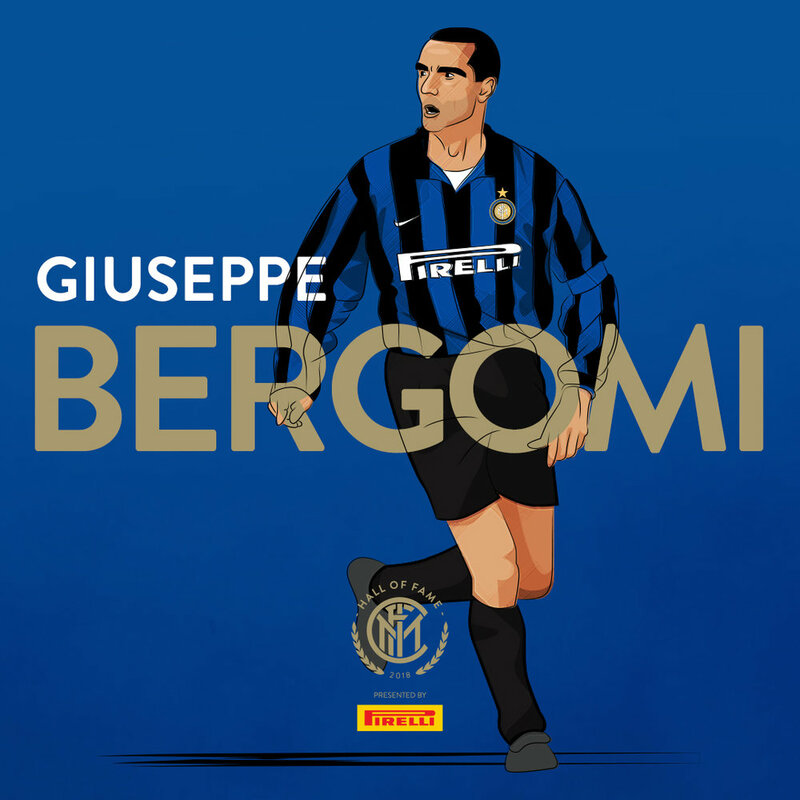 He went on to have a distinguished career at Inter, winning 5 leagues, 4 Coppa Italias, 4 Supercoppa Italias, the Champions League and the World Club Cup (both in 2010). A former professional Italian footballer, who played as a forward, and who won the 1982 World Cup with Italy. Nicknamed Spillo ("Needle") for his slender build, Altobelli was a prolific goalscorer, and he became one of the greatest and most effective Italian strikers of the late 1970s and 1980s. 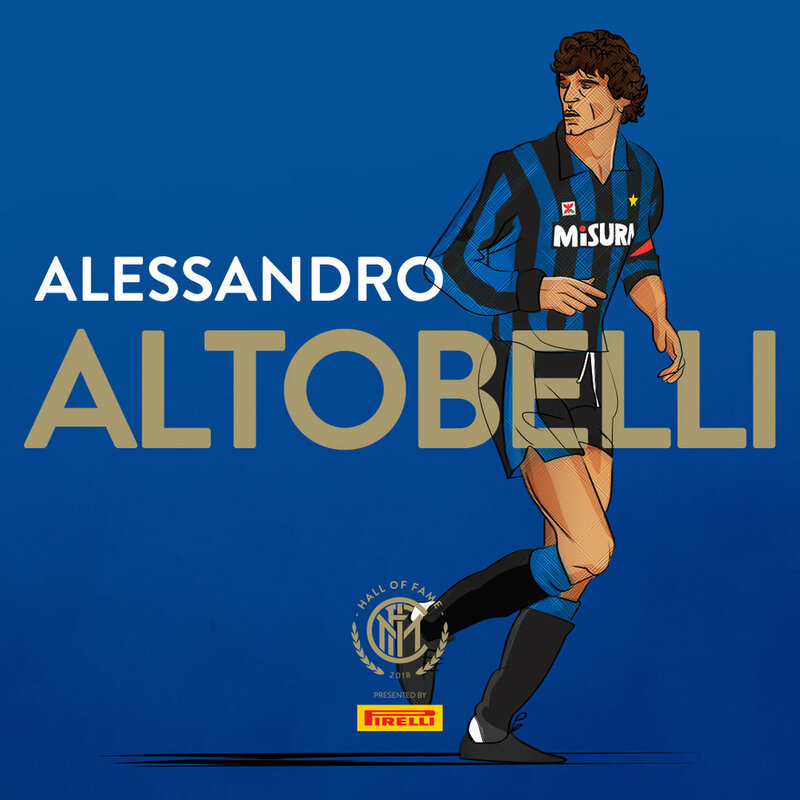 Altobelli is currently the all-time top scorer in the Coppa Italia, with 56 goals in 93 appearances, and the ninth-highest scoring Italian player in all competitions, with almost 300 career goals. A one-club man, Bergomi held the record of most appearances for the club for several years, while also being the side's longtime captain. He was affectionately referred to as "Lo zio" ("the uncle") because of his bushy eyebrows and the impressive moustache he wore even as a youngster. He is regarded as one of the greatest Italian defenders of all time, and as one of the best of his generation, being elected by Pelé to be part of the FIFA 100 in 2004. Bergomi currently works as a pundit at Sky Sports Italia and frequently co-commentates on Serie A matches alongside Fabio Caressa. He is widely regarded as one of the greatest Italian football players of all time, and as one of the best players of his generation, due to his speed, work-rate, creativity, technical skills and eye for goal; he placed second in the 1971 Ballon d'Or. Having spent his entire 17 season career with Inter, he holds the honour of being a one-club man. With the club, he won four Serie A titles (1963, 1965, 1966 and 1971), two European Cups (1964 and 1965) and two Intercontinental Cups (1964 and 1965), also winning the Serie A top scorer award during the 1964–65 season, in which he also reached the Coppa Italia final, narrowly missing out on a treble with the club. With the Italian national side, Mazzola won the UEFA European Championship in 1968, being named to the Team of the Tournament, and reached the final of the 1970 FIFA World Cup; he also took part in the 1966 and 1974 FIFA World Cups with Italy. Ronaldo Luís Nazário de Lima, commonly known as Ronaldo, is a retired Brazilian professional footballer who played as a striker. Popularly dubbed "O Fenômeno" (The Phenomenon), he is widely considered to be one of the greatest football players of all time. In his prime, he was known for his dribbling at speed, feints, and clinical finishing. 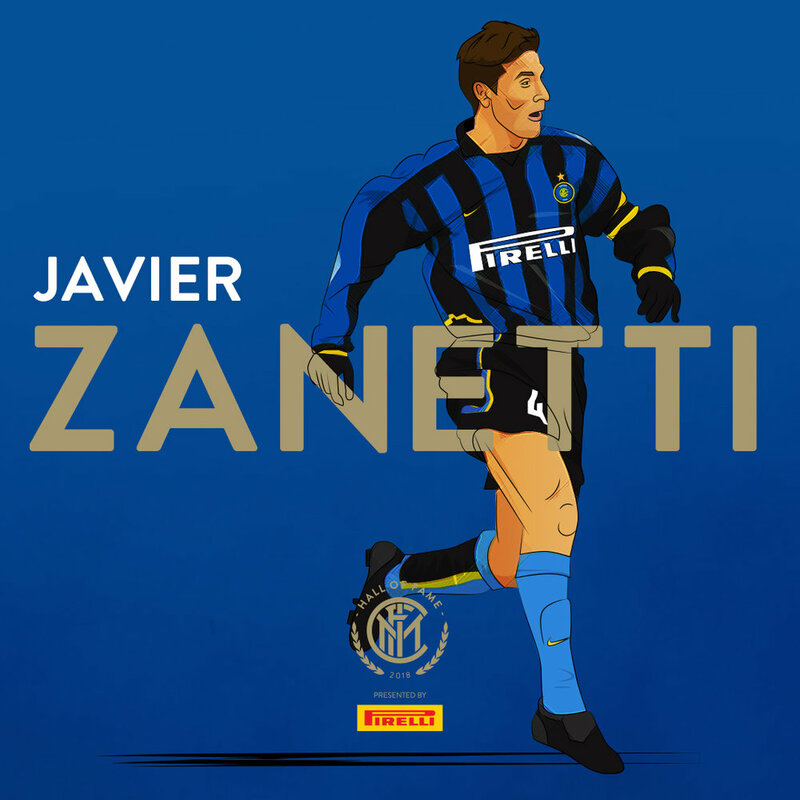 Inter Milan signed him in the summer of 1997 for a then world record fee of $27 million, making him the second player, after Diego Maradona, to break the world transfer record twice. Ronaldo adapted to the Italian style of the game in his first season, finishing second on the league's scoring charts. Ronaldo started to develop into a complete forward. He began racking up assists, became first-choice penalty taker, taking and scoring freekicks. During his time with Inter, he scored several goals against city rivals A.C. Milan in the Derby della Madonnina. He won FIFA World Player of the Year for the second time in 1997, and collected the Ballon d'Or the same year.